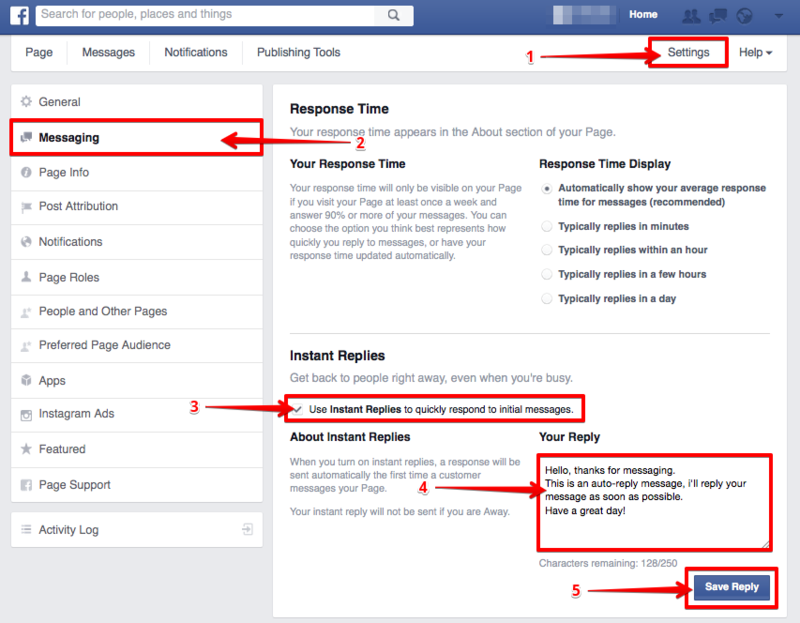 Hi you guys, Today i'll show you how to set up an auto-reply in Facebook messages just by few simple steps. 1. Go to the Settings menu on your page's menu bar. 2. On the Settings page, click on Messaging link on the left side. 3. Check the checkbox "Use Instant Replies to quickly respond to initial messages." (Under Instant Replies block). 4. Type your message in to the Your Reply field (maximum 255 characters). 5. Finally, click Save Reply button to save all your settings. That's it, very simple, right ? Hope this small article will be useful for you.